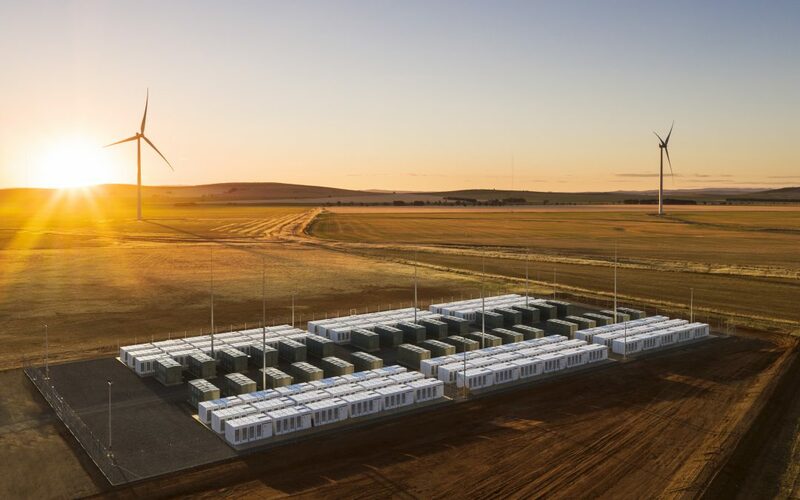 A new report analyzing the world’s largest lithium-ion battery’s performance in the first year of operation shows the Hornsdale Power Reserve has delivered on high expectations of its performance and market impact. It has helped stabilize the grid, avoid outages and reduce system costs, as well as triggered a surge in uptake of similar fast response systems across Australia. The Tesla big battery has responded rapidly to system outages. Since birthdays are a good time to pause and reflect, the world’s biggest battery, which tuned one a few days ago, has a lot to be proud of looking back on the past 12 months. The 100 MW/129 MWh Hornsdale Power Reserve (HPR), owned and operated by Neoen, and supplied by Tesla, was officially commissioned on December 1, 2017. Since then, it has saved almost $40 million in grid costs. “It’s regulating the heartbeat of the national electricity market,” Garth Heron, battery owner Neoen SA’s head of development for Australia, told a press briefing in Sydney to mark the plant’s one-year anniversary. According to Bloomberg, the plant earned Neoen about €8.1 million ($12.6 million) in the first half of 2018 from a supply contract with the South Australian government and independent sales of stored electricity, helping to pay back some of its €56 million ($87 million) price tag. To mark the one year milestone, consultancy group Aurecon released a detailed analysis of the HPR performance, outlining the importance of battery storage in a transition to renewables. Specifically, the report highlights how the Tesla big battery has been used to achieve system security and reduce the risk of blackouts and load shedding. Additionally, the HPR has positively impacted ancillary service prices and created new commercial opportunities, Aurecon found. One of the report’s key findings is that the HPR acted as an integral element in protecting the Heywood interconnector from tripping, thereby reducing the risk of separation of South Australia from the National Electricity Market and potential blackouts. Through its fast frequency response, the big battery has also provided a premium Contingency Frequency Control Ancillary Service (FCAS), thereby avoiding or reducing load shedding in the state. Namely, a total of 70% of HPR’s output is reserved for the SA government in emergency situations, such as load shedding and system-security services. The remaining 30 MW power capacity and 119 MWh energy storage is available to Neoen for market participation. The HRS has also been able to provide high-quality Regulation FCAS in comparison to other traditional generation sources, for instance large steam turbines can lag by up to several minutes. This would further improve frequency control on the NEM if incentivised to deploy more widely, the report states. “HPR is a game changer for the energy sector and has demonstrated some of the new capabilities we need in the electricity network to successfully integrate greater proportions of renewables as our generation fleet continues to decarbonise over time,” said Aurecon’s Energy Leader Paul Gleeson. The report also points to a range of regulatory changes that could be developed to further enable batteries to be recognised for the services they provide and strengthen the commercial case for new projects. The growing opportunities for batteries include: increasing share in ancillary services markets; enabling Volume Firming Agreements to complement PPAs; non-network solutions to transmission and distribution network constraints – particularly with increasing solar PV and electric vehicle deployment; and enabling firm / dispatchable generation from variable renewables to manage reliability obligations and characteristic changes to net operational demand. But, maybe the most significant contribution of the HPR is that it has raised the profile of energy storage and has demonstrated its unique capabilities. According to Bloomberg, Hornsdale has contributed to an almost 75% drop in the cost of ancillary services to the grid, and blazed the trail for about 2,500 MWh of new storage projects that have been announced by the public and private sector in Australia since its inception.